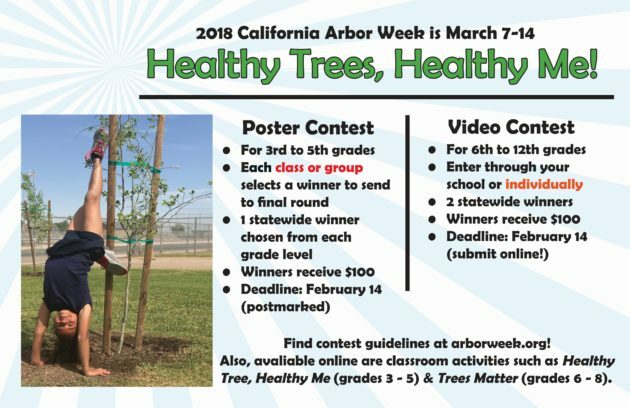 Contest rules for the 2018 Arbor Week Poster Contest. For 3rd, 4th, & 5th grades. Deadline: February 14, 2018! Contest rules for the 2018 Arbor Week Video Contest — this year open to ALL students regardless of school affiliation! For 6th to 12th grade. Deadline: February 14, 2018!